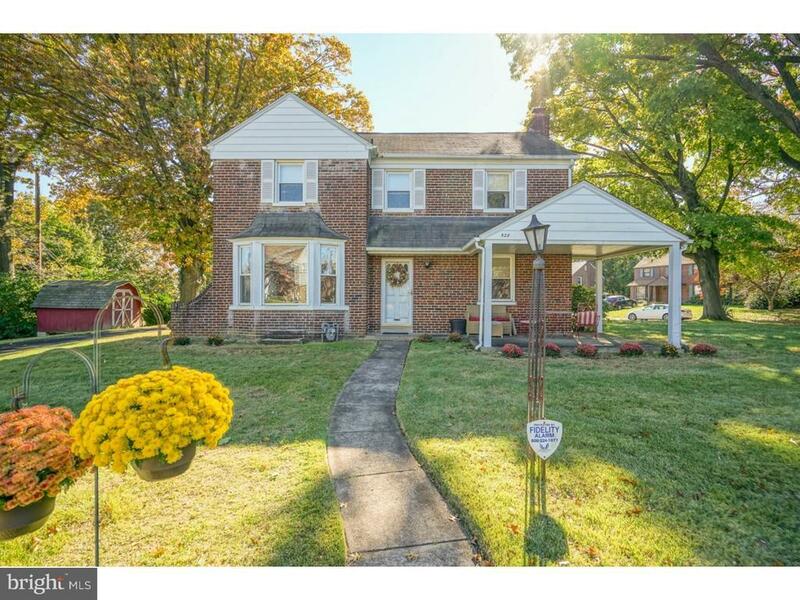 Beautifully maintained, 4-Bedroom center hall colonial that is situated on a quiet block in desirable Elkins Park. Arrive and you will immediately fall in love with the beautifully landscaped grounds and picture yourself relaxing on your covered front porch. Enter to find a foyer with exposed hardwood floors that provides access to both the formal dining room with nice chandelier and living room with wood burning fireplace & beautiful mantel. The rear of the main level hosts the eat-in-kitchen that offers an abundance of cabinets & counter space, newer appliances that includes a built-in dishwasher & refrigerators and exits to the rear yard, 1-car garage and covered carport. The upper level hosts the master suite that offers a spacious bedroom with ceiling fan & master bath with stall shower as well as 3 additional bedrooms, all with ceiling fans & plenty of closet space, and a 3-piece ceramic tile hall bathroom with new vanity. The lower level is a fully finished basement that makes for an awesome family room, full bathroom, separate laundry room & storage area. Additional features are a wrap-around driveway that provides off-street marking for multiple cars, newer roof, central air and replacement windows throughout. Conveniently located minutes from shopping, public transportation, major highways, parks and great restaurants. Truly a great home that will not disappoint.